October 21, 2015 By: Bruce D.
Pearl Harbor is a very family-friendly place, but there are some things you should consider when you visit Pearl Harbor with kids. The Arizona Memorial program is a solemn experience that lasts 75 minutes with no restroom breaks. Bags—including purses and diaper bags—are not allowed in Pearl Harbor, making it difficult to bring snacks. Here are 10 tips that will make a visit to Pearl Harbor with kids easier. See-through bags are allowed. That means that if you have a clear or fishnet bag, you can bring that in. Now you can have your diapers, medicine, snacks, water, wipes, sunblock and baby powder into Pearl Harbor. That doesn’t mean you can bring everything with you everywhere. There is no food or drink allowed on the Arizona Memorial program. Use a stroller. Strollers often have built-in compartments. According to the security guards, items can be put in these compartments. Keep in mind your stroller will not be allowed on the Arizona Memorial program. Check out this FAQ about strollers at Pearl Harbor. Wear cargo shorts or pants. Your cargo pockets may be larger than a purse, but you can’t take the purse. So put your belongings in cargo pockets and leave the purse behind. Avoid putting things in storage, because the line for storage can often take 15-20 minutes. Take a tour. Children are generally better-behaved and learn more when on a tour. The tour is prearranged, saving you the hassle of waiting hours for tickets and figuring things out on your own. 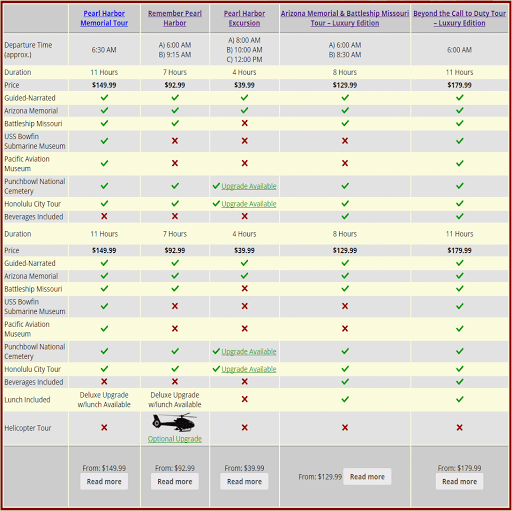 The efficiency of the tours that operate daily means that your overall time at Pearl Harbor is often shorter on a tour than if you try to visit on your own, but you see and experience just as much. Visit the Bowfin Submarine. Most guests to Pearl Harbor who visit the Bowfin spend 30 minutes or less there. Because it’s a more hands-on experience, children often find the Bowfin Museum and Park the most enjoyable part of Pearl Harbor. Please note that the minimum age to go aboard the submarine is 4, although younger children can visit the museum and mini-theater. Talk to a Pearl Harbor survivor if you get the chance. They are not always there, but when they are it is an unforgettable experience. When they’re older, your kids will thank you for the chance to shake the hand of a survivor and take a photo with them. Don’t be shy. Before lining up for the Arizona Memorial program, use the restroom. The Rangers give an introduction before you enter the theater, and at that time they remind you to use the restroom. But if you wait until then, you will lose your place in line, so go before they begin the introduction. Get the audio tour, since tour guides are not allowed to provide narration during the Arizona Memorial program. The audio tour has fascinating information and can make the experience come alive. We recommend it for children 8 and up. Download in advance The Keiki Ranger Activity Book (for ages 3-6) and Junior Ranger Scavenger Hunt (for ages 7-12). Have your kids do these activities at Pearl Harbor and get their Junior Ranger badge from the National Park ranger at the Ticket and Information Desk. Watch movies about Pearl Harbor before visiting. This is a recommendation for children and adults. Watching movies about the subject enhances the experience as you learn more of the historical account when visiting. 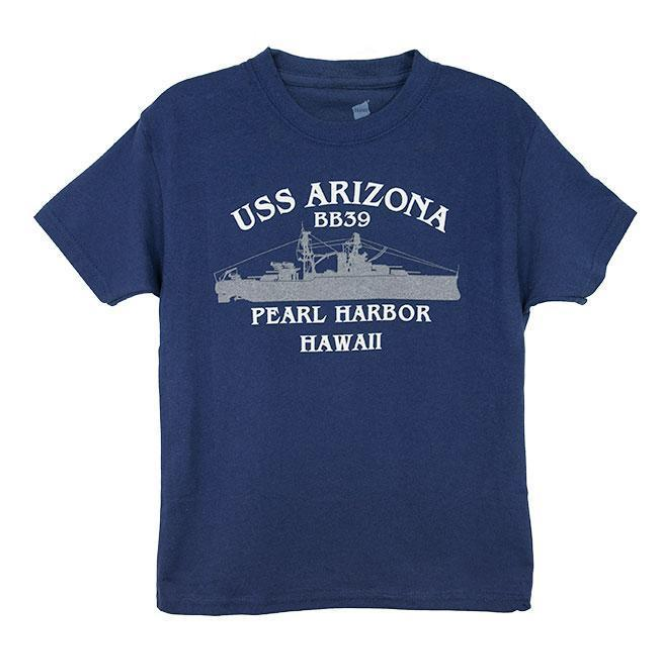 Be sure to check out our FAQs about visiting Pearl Harbor with Kids. Please note, security policies at Pearl Harbor are subject to change. In fact, there are discussions currently to make the security policy clearer.